The role "Donald J Trump" is casted as fake terminator and musician in the illuminati anti-bible, blowing one of their last trumpets, in the BIG BANG script that starts with the staged arrest of the Obama Bi(nla)den's presidency. [Added Mar 15 2014: after the resurrection of Osama Bin Laden at the Temple Mount crucified to the missing Boeing 777]. - From merriam-websters: trumpet: chiefly scottish as in a jew's harp, the sound of or as trumpeting, the trump of doom, first known use the 14th century. 2. But the KEY is elsewhere: the first FOUR out of the FIVE characters: TRUM, pointing to the end of the reversed Truman show. Hitlery' s mother is related to Churchill, her father is Adolf Hitler, same as her half-sister Angela, daughter of Gretl Braun. Obama's full detonation: from countless dedicated actors to veteran Al Sharpton. Below a a Musical Introduction to that article. 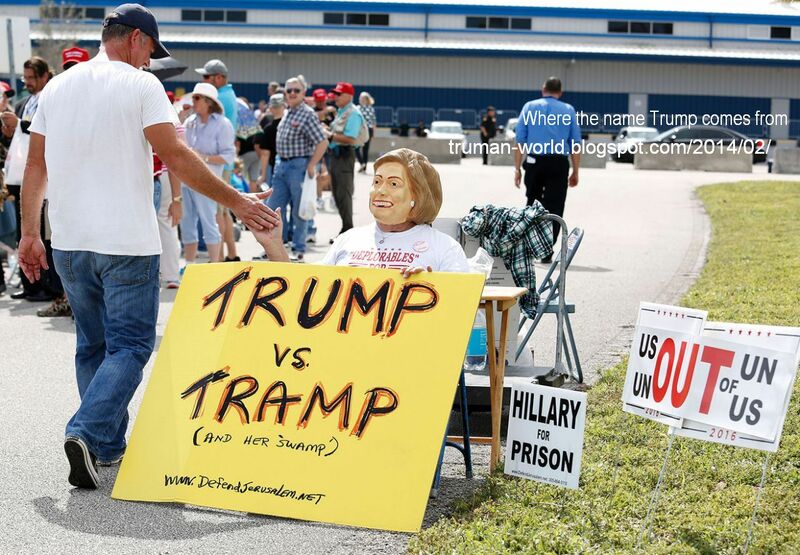 Contrast "the Lady is a Tramp" (Dec 2015) with keeping Supertramp out of Super Trump (added Sep 2016). In fact this mockery is not perfect: the super duet, Trump and Tramp, is only suggested not explicit as in "the Lady is a tramp" poster version. Last edited by TruthIsNeverTooHorrible; 03-03-2017 at 05:38 AM.